Nothing goes together quite as well as progressive rock fans and lists, am I right? They’re like oil and water, Democrats and Republicans, eight-string guitars and Cruise to the Edge. No matter what you do, how you cover your bases, how clearly you state your opinions (and reiterate that it all is, indeed, opinion) someone will take umbrage with your choices. And it’s in that spirit that I am submitting my choices for the Sonic Perspectives series of opinion-based articles where we choose five or ten of our essential items from a beloved band, which would be all we have to listen to for the rest of our [probably admittedly short]lives if we found ourselves stranded on a deserted island. Coconuts and prog and volleyballs named Wilson? No, not Steven Wilson. Just Wilson. Count me in! I started listening to Spock’s Beard in January 2001, after becoming obsessed with Transatlantic‘s SMPT:e album, and suddenly finding myself staying up late nights in college and daydreaming in class because I had a complete case of Neal Morse addiction. If you asked me at that time if I could have imagined the mighty Beard without Neal at the helm, I would have scoffed, like most of you probably would have back then. Fast forward some five years, and the band suddenly had three albums under their belt with Nick D’Virgilio stepping out from behind the drum kit like so much Phil Collins, and becoming the front man we were all hopeful and thankful he could be. So, what better way to begin this list than with “On A Perfect Day?” It doesn’t get much more quintessentially Spock‘s than it does with the staccato organ chords from Ryo Okumoto that kick off the entire album. While I was along for the ride with with the albums Feel Euphoria (2003) and Octane (2005), each of those albums left me a little cold (although Alan Morse‘s guitar solo in “She is Everything,” off of Octane, is my favorite Spock’s Beard guitar solo of all-time). 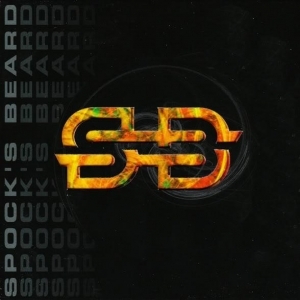 Spock’s Beard‘s self-titled album, known to many as SB9, was the first to sound like a complete Beard album, to me, since Neal Morse‘s abrupt departure back in 2002 during the Snow period, or what could be called the dark times. I was so excited for this album before it came out, that I even changed my “welcome” music on my MySpace page (yeah, buddy) to the rock-out Fleetwood Mac “Tusk” section of “With Your Kiss.” And it did not disappoint. Sure, there are some moments, such as “Is This Love?” or “Sometimes They Stay, Sometimes They Go,” that aren’t the strongest offerings in SB’s entire discography. But then there are other songs like the aforementioned “On A Perfect Day,” “Rearranged,” or “Hereafter” which represent perfect SB openers, closers, and ballads. “Hereafter” and its counterpart, “Watching The Tide,” from Octane, represent two very special moments in the Spock’s discography, where the album lets us catch our breath and we are treated to the beautiful combination that is Ryo‘s gentle piano playing and Nick‘s tentative and vulnerable singing, a combination we might not hear too often nowadays, sadly. When the quiet erhu instrument enters the song around the three-minute mark, my chest inevitably clutches and I find myself fighting back tears. Every time. There is enough variety, beauty, rock, and roll on this album that it would be a welcome addition to my milk crate of tunes while I lay waiting for death or rescue on an island. My love for this album first began when watching the Don’t Try This At Home DVD. I was still working my way through the back catalog of the band at this time, and from the very first time I heard “The Doorway,” I was hooked on the song. After listening to roughly 7,000 hours of Neal Morse compositions since then, I’ll admit the songwriting doesn’t hold up perfectly well, but I like to think of that song as a perfect early example of that trademark Neal Morse sound, which we have heard all through his various projects. What makes the song for me, though, are three things: Dave Meros‘ bass entering the song. When it takes the melody, it’s a great moment for bass players everywhere. Next is the infinitely singable chorus. I’m listening to it as I write this, and I literally had to stop typing so I could sing-yell “You are the door!” It’s also a great example of the great backup vocals Nick D’Virgilio supplied that would herald the fantastic lead vocalist he’d become later in Spock’s Beard 2.0. Lastly, there’s the fantastic call-and-response acoustic guitar section that is such great fun when performed live with Neal, Nick, and Al all up front on three guitars. Over 15 years later, I can still pop in that DVD, marvel at how blurry it seems now, and smile at how endearing that moment still is to this day, despite the song’s slight cracks it has shown with age. The rest of Beware of Darkness features some other all-time favorites such as the humble “Chataqua” and longtime Beardie fan-favorite “Walking On The Wind.” And as the next album’s “June” points out, the crowd will always keep on singin’ “Waste Away.” We also have to give props to the album that started the legendary “Thoughts” saga, which has carried us across several albums, and not one, but two bands. 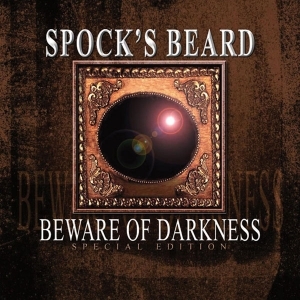 Beware of Darkness might not be the greatest Spock’s Beard album they ever made, but it takes me back to some great times in my life (as recently as 2016, when I drove home from Snow performed live at MorseFest in Tennessee and I played the album for my wife’s first time) and has so much replay value that it would sound great on my headphones while I tried breaking open coconuts with an ice skate I found in a FedEx package. Ah, Ted. Mr. Ted Leonard, ladies and gentlemen. The man, who, in my mind saved Spock’s Beard. While we were all shocked and pretty much traumatized by Neal Morse‘s departure from the Beard in 2002, many of us assumed they’d be carried forward by NDV as a front man, if such a thing were to happen. And it did. But after Nick‘s deflating exit from the band in late 2011, many (and I speak for myself here) were unsure what to make of the development. The band had just come off of what was arguably the most amazing and epic album of the post-Neal-Morse Spock’s Beard 2.0 era (more on that later,) and suddenly we had taken two steps forward and, well, two steps back. Ted Leonard had filled in for the band on a couple of dates earlier that year, but we didn’t know what to make of that at the time, and it wasn’t until the band made the official announcement that we started to realize what it had all meant. Spock’s Beard had never really recruited an outside member before, at least not since the earliest time of the band, even before the debut album, The Light. There was some overlap between fans of Spock’s Beard and Ted‘s original band (in which he is still lead vocalist and guitarist,) Enchant, but maybe not enough to signify if the choice would be a hit with listeners. And his vocal styling was a little different from Nick’s, and very different from Neal‘s. What would the music be like with him singing? Not only did Ted mark a tectonic paradigm shift for the band, but the resulting album would be the first time we saw Spock’s Beard 2.0 touring drummer Jimmy Keegan finally get to show his chops and become the band’s full-time drummer, both in the studio and on the stage. After Neal’s departure, songwriting was split among all members of the band, but also songwriting aces in the hole, John Boegehold and Stan Ausmus, whose role in the band might never have been as important as in Spock’s Beard 3.0. So, while it sure did take a village, much of the responsibility was carried by Ted Leonard and how he would carry the band forward as frontman. While Brief Nocturnes and Dreamless Sleep, or BNaDS, was an instant hit with many fans, it was a bit of a grower with me. Sure, Neal wrote a couple of songs on the album, but that wasn’t enough for me at first. While I could hear many elements of timeless Beard in the album, such as the classic bass and organ fugue-like sound at the beginning of “Something Very Strange,” it took some time for me to get used to hearing the vocalist who I knew best from Enchant albums like Tug of War and Blink of an Eye to be singing for my beloved Beard. I’m not sure at what point the album fully clicked for me. It might have been after The Oblivion Particle was released in 2015, honestly. 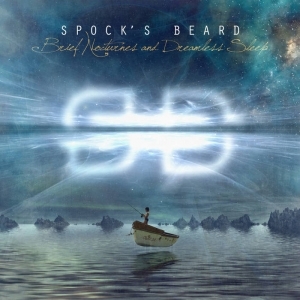 Or after seeing Spock’s Beard twice on Cruise to the Edge 2015, or after seeing Ted Leonard be quite possibly the MVP of MorseFest 2016… but looking back on the album after I’ve spent half a decade with it, I look at every song of the core seven tracks that make up the album proper, and I have a hard time picking one that isn’t a Spock’s Beard classic for me now. Even the bonus disc (and bonus bonus song for pledgers) is more solid than past bonus songs from the band, which has now been the case again with the Cutting Room Floor second disc included with the new album Noise Floor. It is complete cohesion, and the songs all work together extremely well, giving it a perfect full album feel. This album was a complete surprise. It was the first album that Spock’s Beard had supported through crowdfunding. And while it sounded like them, it also somehow sounded nothing like Spock’s Beard. It was definitely the most adventurous and epic of all of the Spock’s Beard 2.0 albums. It was more akin to the V album than anything they had done since. It had long song lengths, pretty much overall, with three songs longer than ten minutes, and a few approaching the ten-minute mark, with just a couple of shorter ones hovering around the five-minute mark. The songs were very proggy, starting off in one place, and developing into something completely different as they went on, like a butterfly from a caterpillar. Even the song titles were bold, such as “Jaws of Heaven,” or “From The Darkness.” And lastly, on the special edition owned by fans who pre-ordered and crowd-funded the album, the song “Their Names Escape Me” contained the name of everyone who donated at a certain price point worked into a long and winding verse that must have taken Nick D’Virgilio considerable time and effort to sing, and John Boegehold one heck of a spreadsheet to organize.“Kamikaze” might be the band’s best instrumental, as it’s definitely up there with the likes of “Chataqua.” “NWC,” and “Skeletons at the Feast.” The entire album feels like one epic after another, unlike any album preceding it, and just when you think it can’t take you higher, “Jaws of Heaven” closes the album with a fever pitch crescendo march with strings, tubular bells, and war-like snare work, closing out the official NDV era of the band. 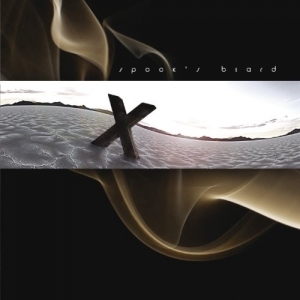 If I didn’t love my favorite couple of Spock’s Beard albums so incredibly much, then X could quite possibly be my favorite. It’s hard to put a finger on it, but there’s such a zeitgeist to the album that isn’t found elsewhere in the discography. The opening of the album is one of the band’s most majestic, but all over the disc are some of the darkest and heaviest moments that the band has ever produced. I can hardly imagine the band members recording those parts in their usual home studios like we’ve seen in the recent promotional video for Noise Floor. It’s quite possibly the most underappreciated and most under-the-radar album the band ever released, which is sad, as it’s one of their best and one of my favorites (and those two things aren’t necessarily always the same). I like X so much, that I even had the wallpaper the band released on my desktop PC at work for months. Some of my best memories of this album involve driving long-distance to a women’s roller derby bout, and going to see the movie Predators. It was a rough time in my life when this album came out, but we got through it together. I know it would get me through floating out at sea on my self-made life raft, after [Steven] Wilson the volleyball had floated out to sea, as I awaited rescue by way of Japanese cargo ship. And here we are. The final choice. The grand-daddy of them all. V. Or five. Or the album that has a very similar cover to that one Symphony X album, which is also very good. But I digress. V, to me, symbolizes the creative pinnacle of what we can now call Spock’s Beard 1.0, the Neal Morse era. Neal had just come off of his time working on SMPT:e with that other band Transatlantic, comprised of only just some of the best musicians in the world, Roine Stolt, Mike Portnoy, and Pete Trewavas, and putting out one of the best debut albums the world had ever seen. So, he wanted to keep that mojo going when it was time to reconvene with Spock’s. 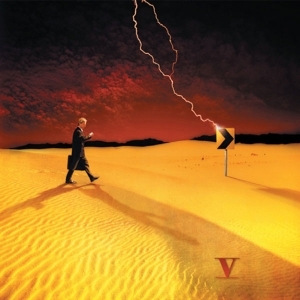 V follows a very similar sequencing structure to Transatlantic‘s first two albums (the aforementioned debut and its follow-up Bridge Across Forever,) two long epics book-ending a few shorter pieces. And it’s a formula that works quite well. “At The End of The Day” might be my favorite Spock’s Beard song ever. A few years after I first discovered the band, I was writing for my college newspaper, doing an op-ed column not unlike what I’m writing now, and I signed off with my last column by quoting this very song. It was terribly smarmy of me, and tremendously conceited, and naturally, that’s why I’m the humble prog-rock nerd you see before you today. Anyway, the song is almost perfect. The opening… it feels like Braveheart meets Highlander meets Stomp on Broadway. The song kicks in, and it’s pure anthem. I can hear it right now without even listening to it. Every lyric is great. The chorus is a rush of energy, wind at your back pushing you to the edge of a cliff. The song even has a french horn melody! It is a song you want to listen to all over again as soon as it’s done (which is great when you’re looking for fresh water sources on a desert island, by the way). But if you’re a true prog rock fan, you won’t do that, you’ll let the album keep going as you should. That way, you’ll hear the next few short bits of sweetness, “Revelation,” “Thoughts Part II,” “All On A Sunday,” and “Say Goodbye to Yesterday.” “Revelation” shows a slower, lumbering, darker, more ’90s alternative influenced Spock’s Beard than we had really heard to that point. “Thoughts Part II” keeps its titular suite going, after we hadn’t heard from it in a couple of albums. “All On A Sunday” is definitely one of those growing pains Spock’s Beard songs where they weren’t sure what they were doing at the time, but it’s a strange classic in its own right, and definitely something I think about when I find myself lazing on a Sunday afternoon. And then “Say Goodbye to Yesterday” is one of the most bittersweet sing-along moments of the Neal Morse era. It’s heartbreaking to sing and contemplate, but it feels so good to let the melody and words pour out of you. It’s one of those songs where you can picture Neal welling up and holding back the tears as he sings it. And despite those shorter song lengths, the four songs work together to form sort of a mini-album. While no means as good as the cookie outside, the cream in the middle is its own treat, with great and odd lyrics like “Got a locket on a string / she caresses as she brings me jasmine tea,” and the lush vocals of this album’s Thoughts moment. But that all takes us to “The Great Nothing.” While I’ll admit I prefer “At The End of the Day,” if we’re comparing apples and oranges, “The Great Nothing” is the monster at the end of the book. The strange analog vocal sample keyboard intro sounds like a descent into madness as depicted in a movie or particularly strange and unsettling anime. The acoustic guitar intro that follows is like a glimpse of daylight in the clouds. And then the whole band comes in with what has become a classic, plodding, unified, badass Spock’s Beard riff. And then we’re off into epic land from there on out, in what has held the record as the longest Beard song for nearly 18 years. It features some of the most powerful vocal parts Neal ever sang (as is evidenced on the behind the scenes video for V, where we see Morse struggling with the phrase “from the ashes,” from the sheer weight of what he sings,) some of the craziest and best lyrics (“Stuyvesants and liquor on his breath,) most cohesive songwriting, and most impressive performance the band has ever achieved. It’s nearly perfect. And it’s one of the best album closers in the history of the genre. And I look forward to listening to it as I drive down a dirt road, after being rescued from my deserted island, so I can go deliver that one last package to a woman who unknowingly saved my life, and end up at the crossroads of choices in life. Rest in peace, Wilson. AfterThoughts. So, there you have it. That’s my Top 5 Deserted Island Album choices for Spock’s Beard, one of the greatest progressive rock bands on the planet, past, present, or future, no matter how many incarnations they’ve had, or near break-ups, or Ryo karaoke sessions there have been. Do I expect you to disagree with me? Of course I do! I didn’t include The Light! I didn’t include The Kindness of Strangers, just so I could listen to “June” every day until I died from dehydration. Nor did I include the newly-rejuvenated Snow, the full band epic “Falling For Forever,” or even the oft-forgotten Day For Night with “The Gypsy,” and “The Healing Colors of Sound,” etc. I know I probably missed your favorite, so feel free to tell me what your five choices would be in the comments, and tear me a new one. A hole in my raft sail, I mean. Honestly, though, I chose these albums based on replay value in my mind. Snow, for example, is literally my second favorite album of all-time, and yet I consider V to be a preferable album in terms of how I feel about the entire Spock’s Beard discography. I wouldn’t want to listen to Snow every day on an island. Go figure! That’s the great thing about music; it’s all subjective and purely in the eye of the beholder. So, go forth with your tape decks and battery packs, your best friend spiders, your Circuit City cardboard cutout girlfriends, you crazy like a fox but with dementia Spock’s Beard fan, and enjoy Noise Floor. 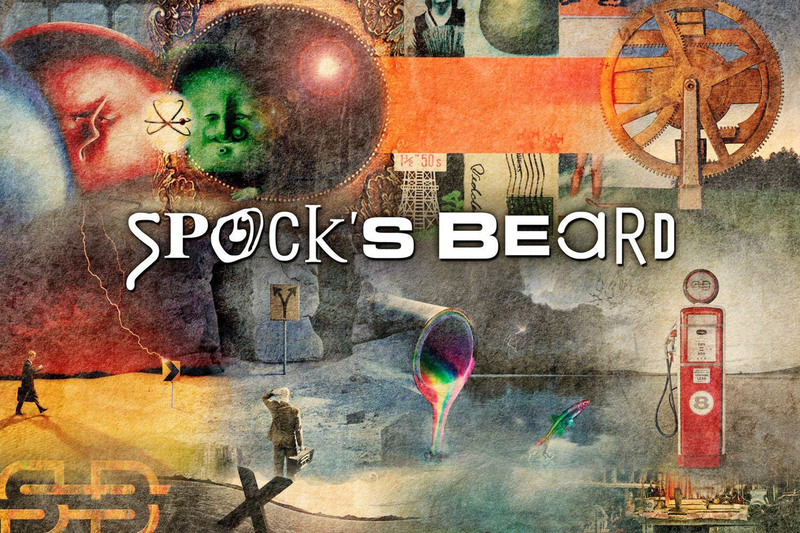 It’s a great album, from what I’m feeling so far, but don’t forget about all of those great Spock’s Beard albums from all eras of the band. They’re some of the greatest in your milk crate, too, I’ll bet.